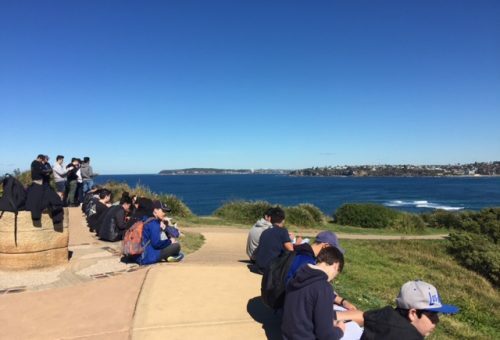 During week 4, students from Year 10 Geography undertook a field trip to Sydney’s northern beaches. Students applied geographical tools and skills they’ve learned in class to gather, analyse and communicate information regarding the topic of coastal management. By investigating processes such as erosion and storm surge, students witnessed the impact of human activity and coastal management strategies. This experience will help students complete their upcoming assessment task on coastal management.